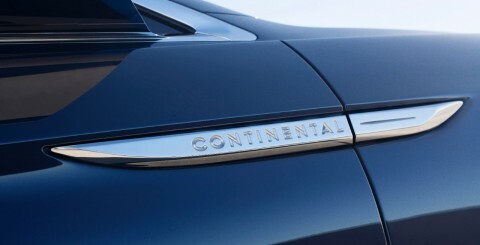 NEW YORK, March 30, 2015 â€“Lincoln today introduces the Continental Concept, signaling an all-new full-size sedan coming next year and the future of quiet luxury. Rhapsody Blue metallic paint calls back Lincoln Continentalâ€™s signature color. Inside are the brandâ€™s most sensual materials ever, including Venetian leather seat and door panels, AlcantaraÂ® seat inserts and armrests, satin headliner and shearling wool carpet. Rose Gold trim around the instrument cluster provides warmth. Bright chrome trim on the instrument panel adds contrast. Patented 30-way Lincoln-designed seats use a new-to-market design that conforms to passengersâ€™ sizes and shapes. The passenger-side rear seat can fully recline by moving the front passenger seat forward with the touch of a button. Rear-seat comfort is further highlighted by an SPD SmartGlassÂ® tinting sunroof, which allows passengers to control heat from direct sunlight. With the touch of a button, the glass can cool the vehicle interior by as much as 18 degrees Fahrenheit, while blocking 99 percent of UV rays. 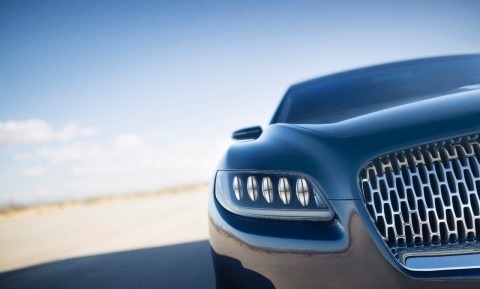 Under the skin, the Continental Concept is powered by a Lincoln-exclusive 3.0-liter V6 EcoBoostÂ® engine. It also features Lincoln Drive Control ride-enhancing technologies and Adaptive Steering. The car rides on polished-aluminum, painted-pocket 21-inch wheels. Driver assist technologies include Pre-Collision Assist with Pedestrian Detection, Enhanced Park Assist and a 360-degree camera that displays on the MyLincoln Touchâ„¢ screen.